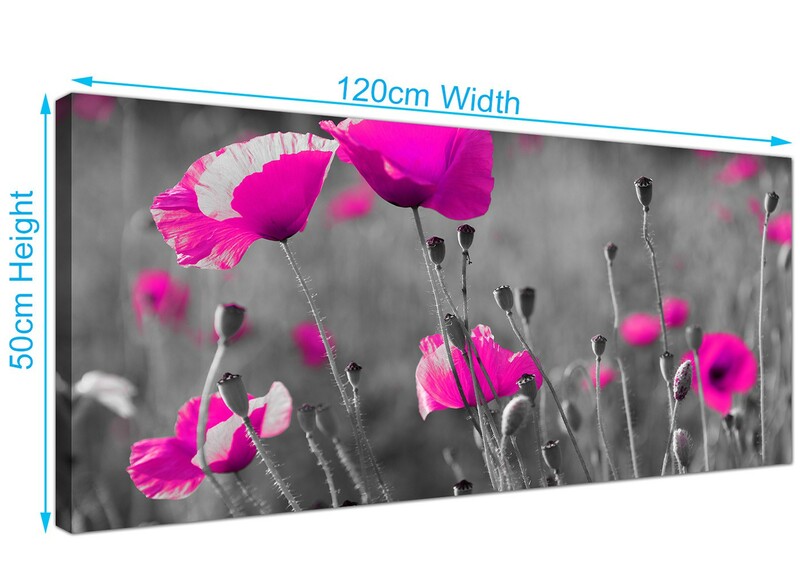 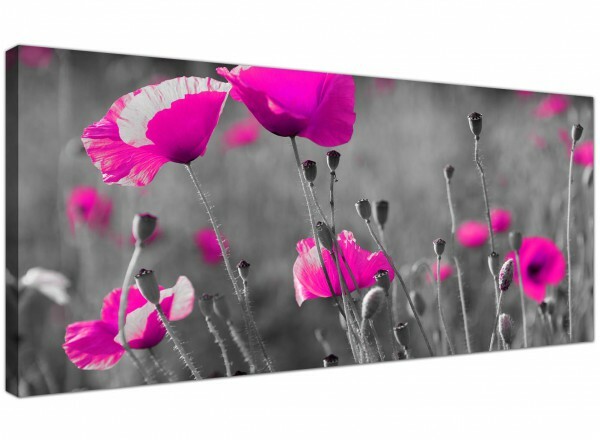 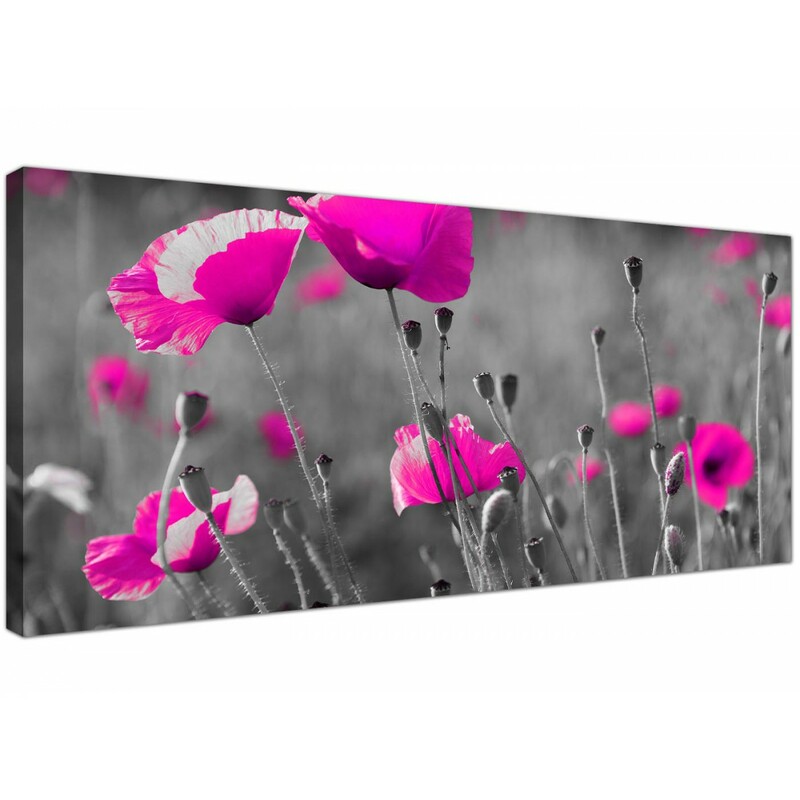 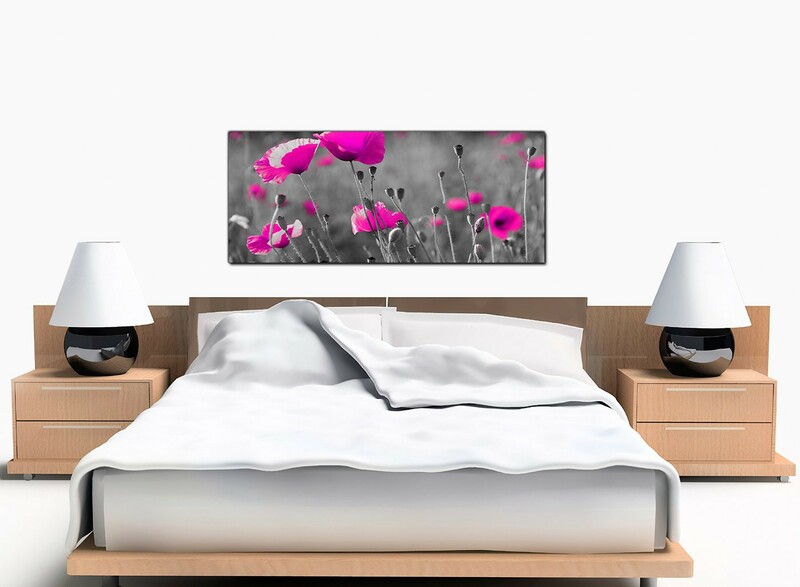 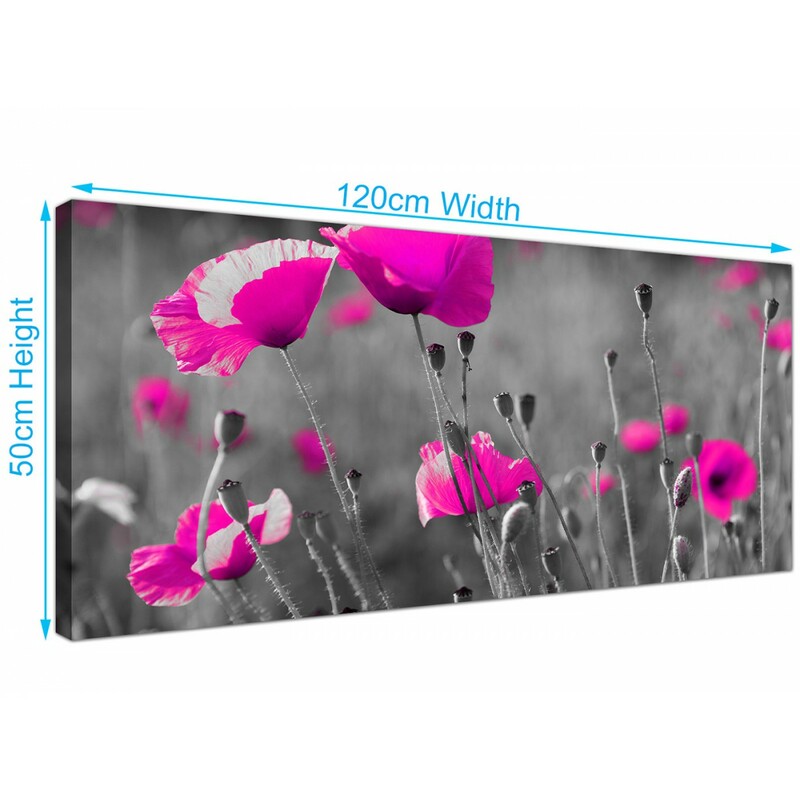 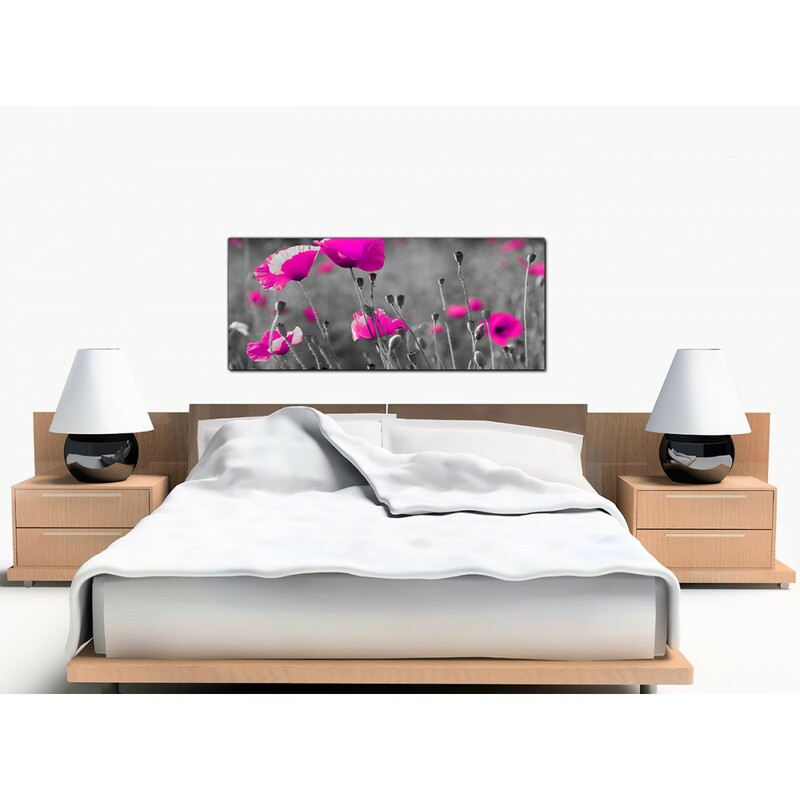 Affordable canvases of a pink poppy theme on a monochrome background. A huge black & white up to the minute panoramic canvas wall art. 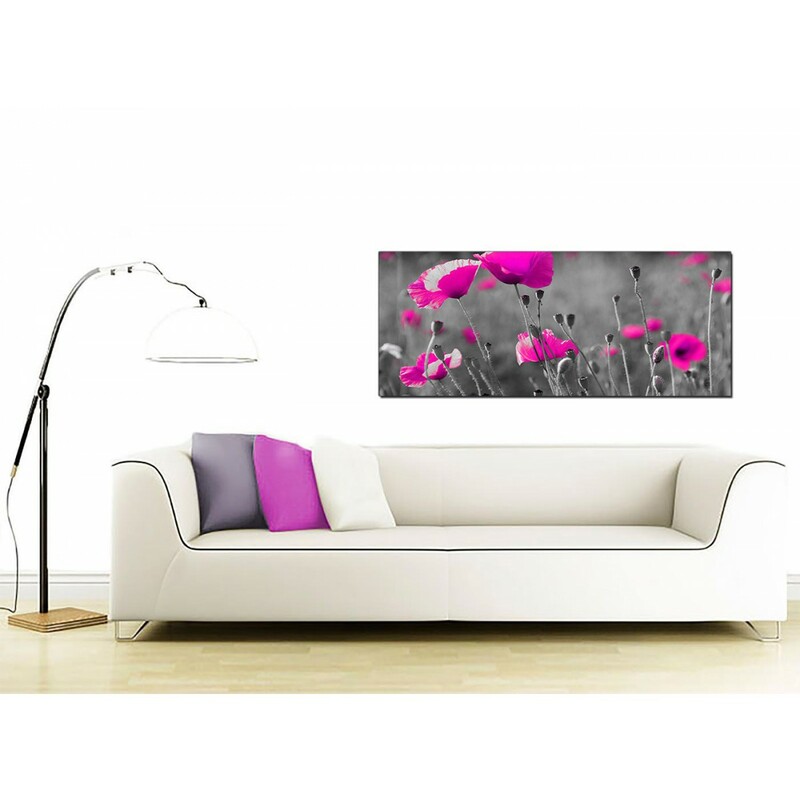 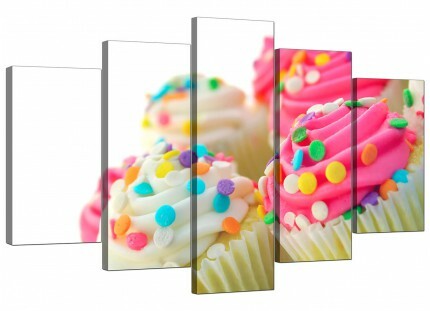 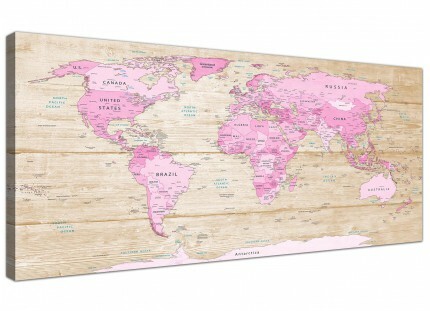 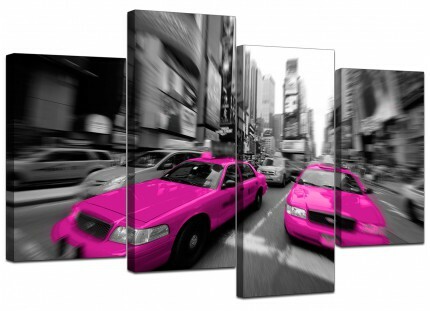 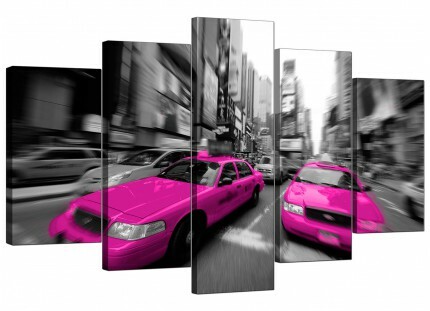 The UK's most trusted canvas wall art brand. 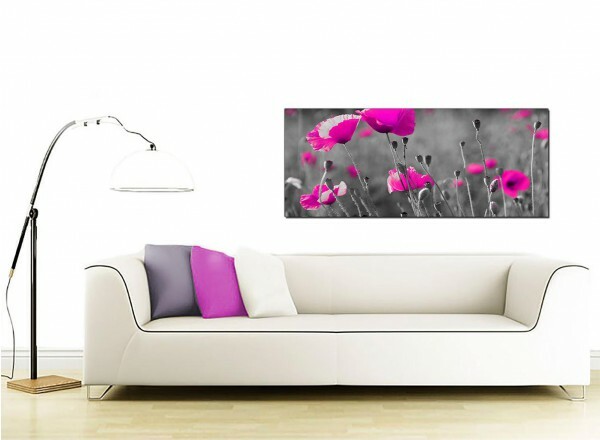 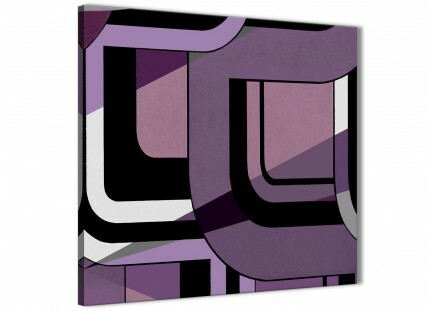 The artwork is manufactured to the highest standards with fade resistant inks. 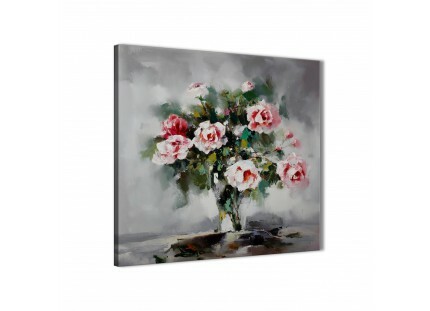 Great size for above your fireplace.